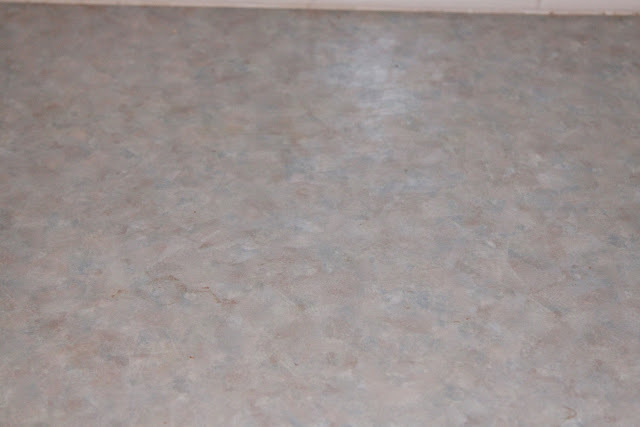 One of the things about our house that most needed updating was our kitchen. It was terribly old fashioned and literally held together with sellotape. See the photos for proof! We spent a long time figuring out what we wanted to do and finally, we've had it done. 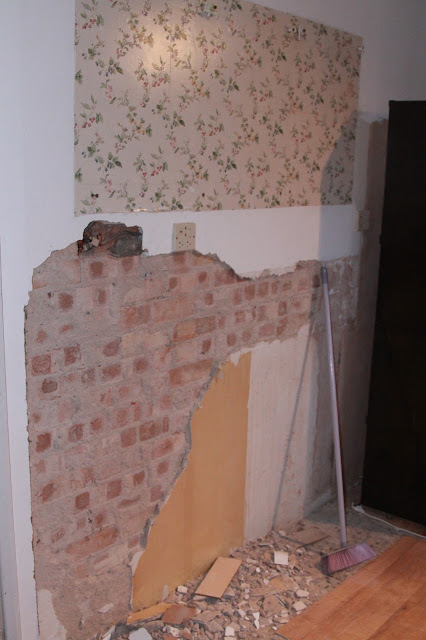 When we moved in we had a wall ripped out between the kitchen and the dining room making them into one long room, rather than a long kitchen and a tiny dining room. We also had new windows fitted as our house had the original tin window frames, and replaced the patio doors in the dining room area with french doors. This meant we had a few areas with bare plaster, and a gap in the flooring in the kitchen from the removal of the old door too. This irritated me for so long, I hated seeing that bare cement under the floor! 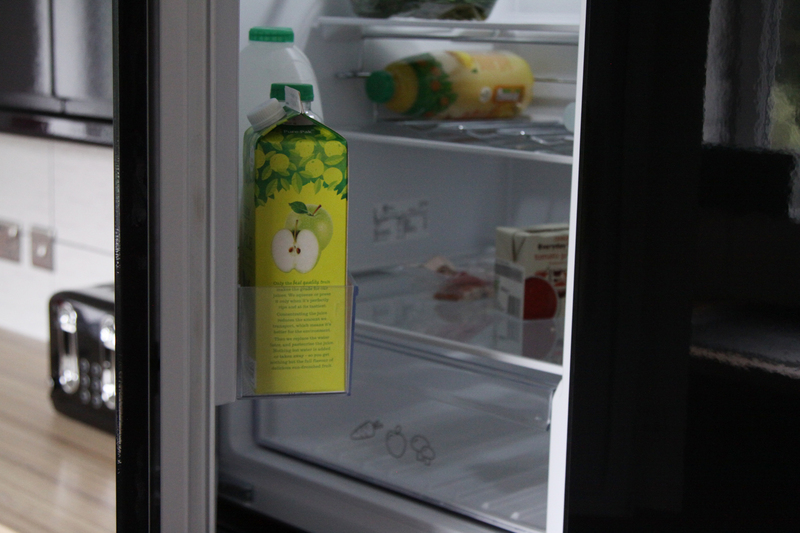 About a month before Christmas, our fridge-freezer gave up the ghost. 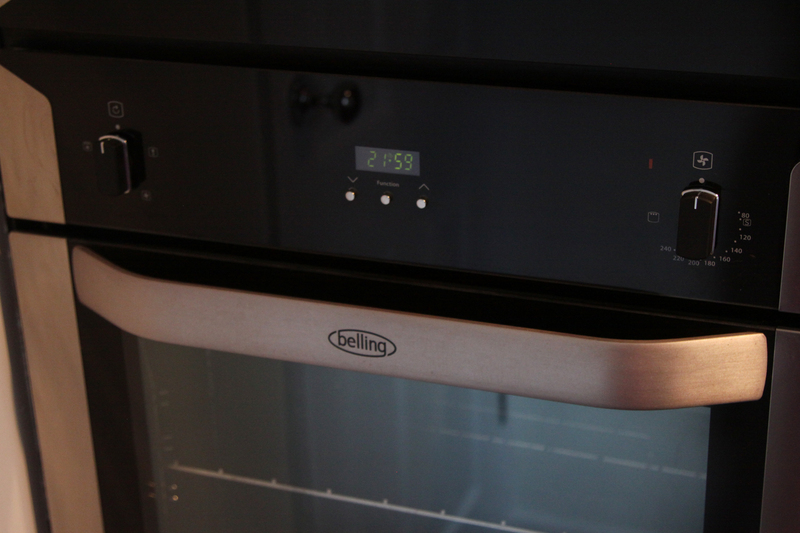 We debated buying a new one but when we looked at it, it didn't make sense to do that when we planned to have an integral fridge-freezer in the new kitchen. It was the push we needed to commit, a few calls and quotes, and Cleethorpes Kitchens were who we opted to use for the kitchen itself, and we used Mat Carlisle Decorators for the painting and wallpapering. 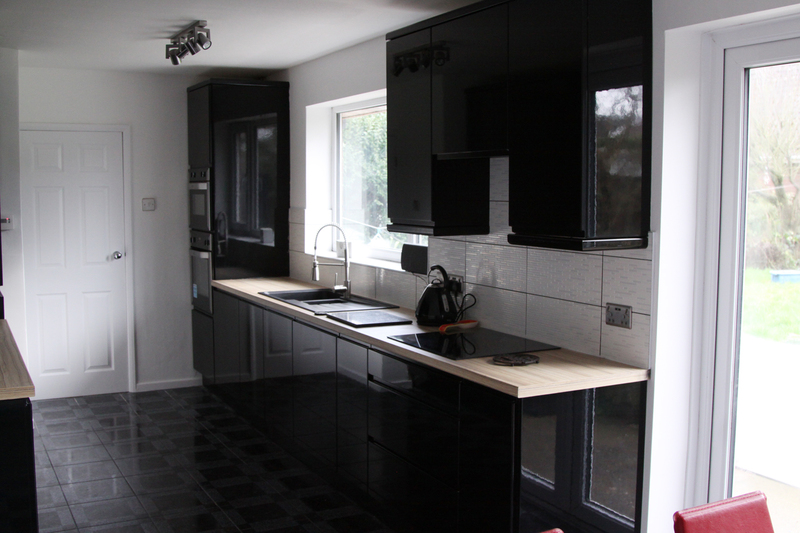 I didn't take many before photos, it wasn't really the nicest kitchen to take photos of to be honest, but I'll share what I have. The hideous kitchen work top we had. Cupboard handles held together with sellotape. The amount of times these came off the doors in my hands..... rage. 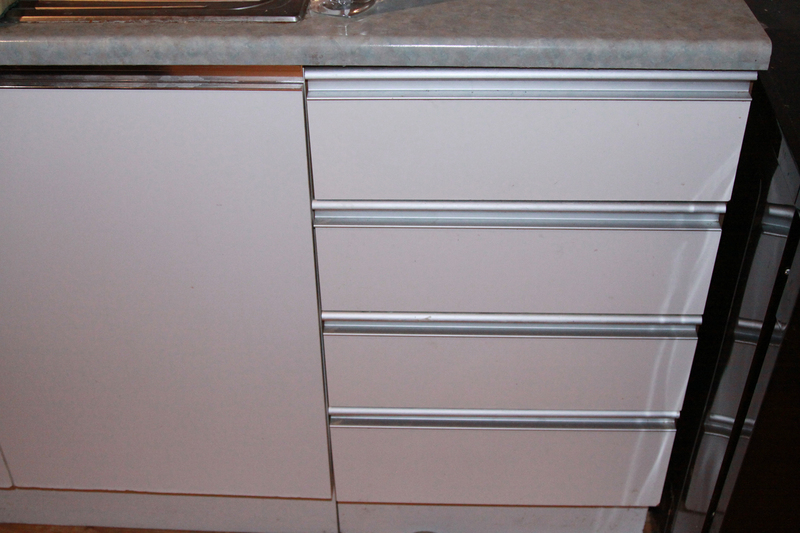 Plain white doors and drawers, with the terrible handles. 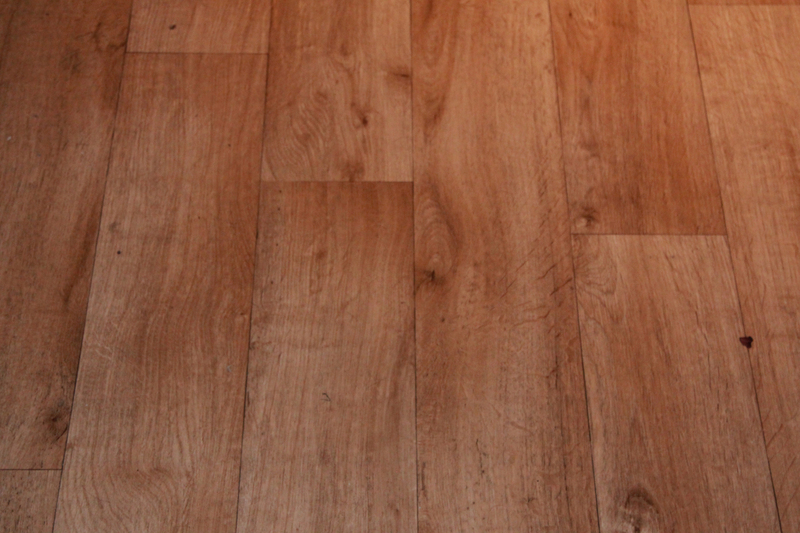 The cheap vinyl wooden flooring we had fitted when we had the wall ripped out. Biggest waste of money ever, I swear anything you spilt stuck to this floor like you wouldn't believe! 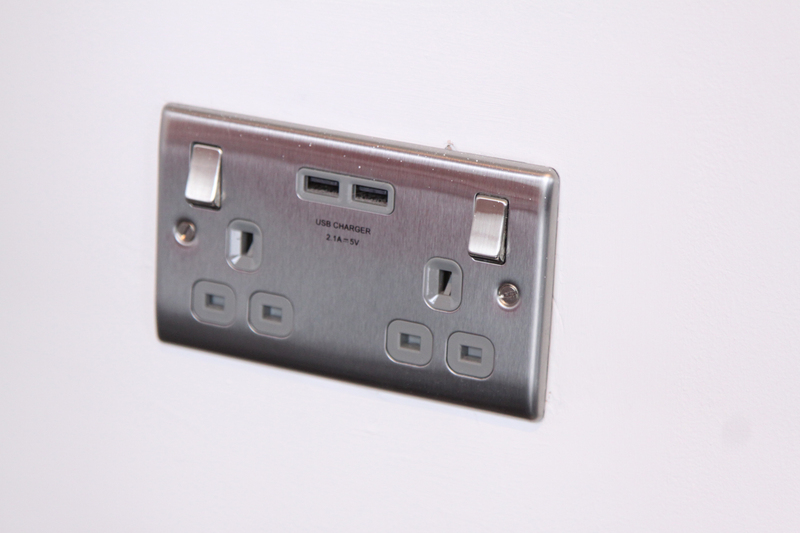 Even seen a plug socket like these? Nope, neither had I until we bought this house. Those bottom holes are for an old fashioned style of plug too apparently! The ugliest extractor fan you ever did see. 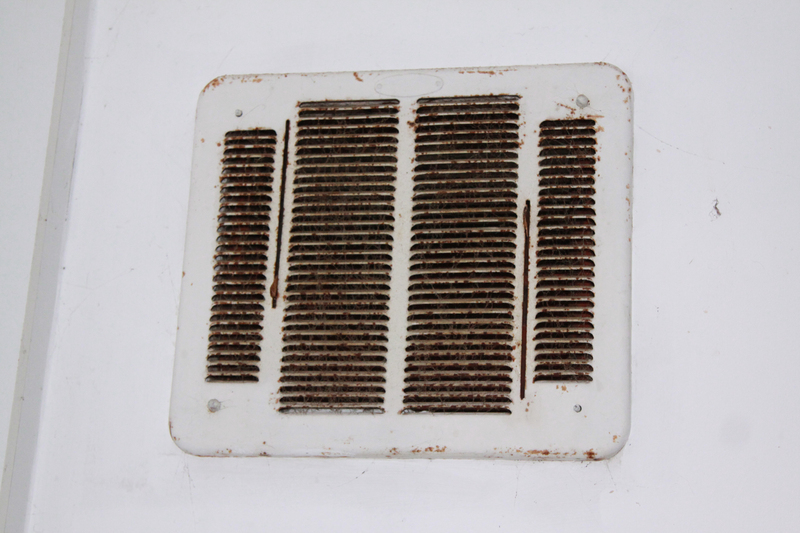 Rusted and awful, and only worked intermittently, which meant spiders really liked living in it. 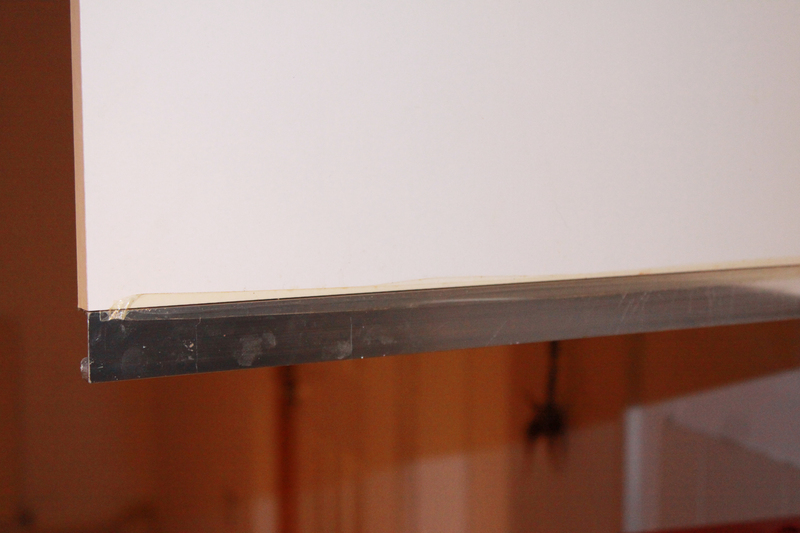 And this is post-ripping out some of the cupboards. 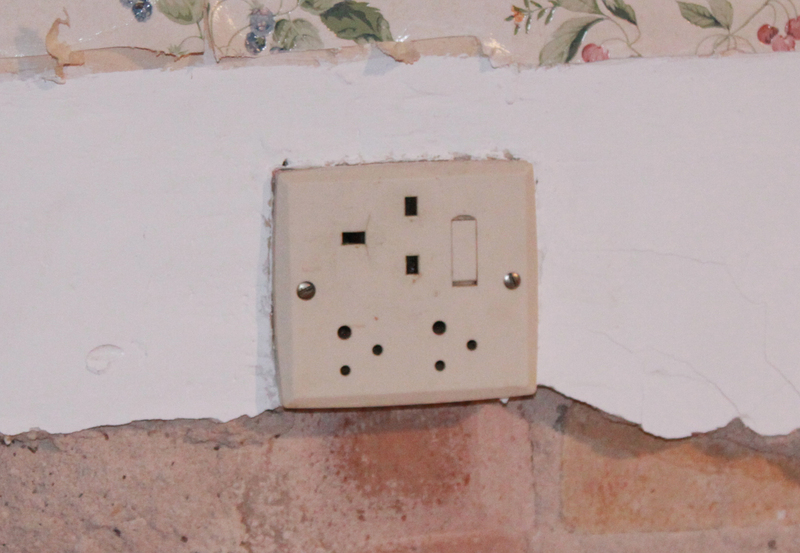 Check out that wallpaper hidden exactly behind the wall cupboards! Grim. Our beautiful new gloss black cupboards, with pale wooden worktops. I can't get over how much bigger the room looks now! 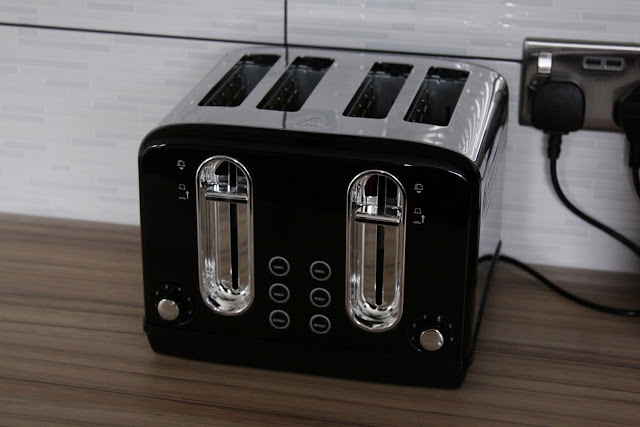 We bought new appliances to match with some money we got from selling our old washing machine and dishwasher, black with chrome for a modern but timeless look. My husband's beloved Tassimo is one of the only flashes of colour in the monochrome theme, save for our kitchen chairs. I don't drink hot drinks, but he loves them and this is one of his favourite things ever. 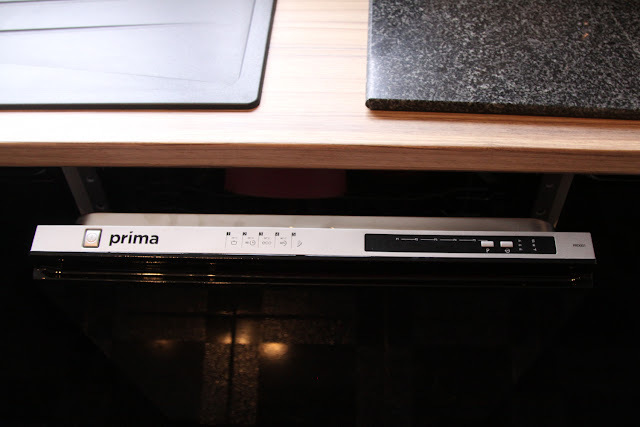 Our new extractor fan is hidden inside a cupboard, much more discreet and easier to keep clean. 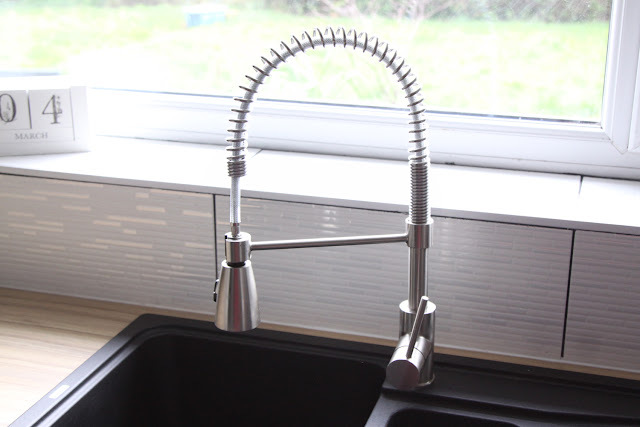 One of our favourite parts of the kitchen is our new sink and tap. 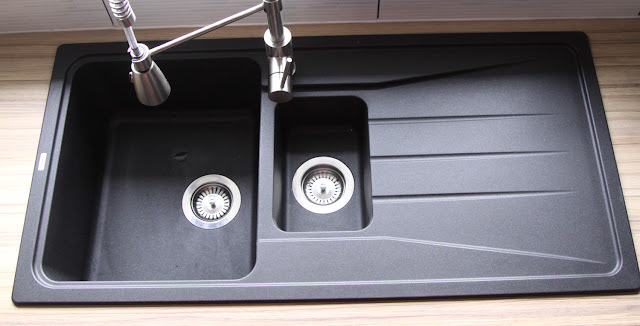 Black granite sink with a 25 year guarantee and a tap that looks like it belongs in the Jetsons. I love the spiral shape of it, it has a shower spray option, and the tap is flexible meaning that rinsing the basin out after use is incredibly easy. Having black does mean water marks are very obvious, but a quick wipe soon solves that. Our new (but very empty) integral fridge-freezer. I love that it blends so seamlessly into the rest of the kitchen. The dining room end of the kitchen. We had the table and chairs before hand and felt they worked really well in the new kitchen still too. A glass table is a bit of a pain when you have 3 cats that are fascinated with being able to see through the table, but it's lovely. 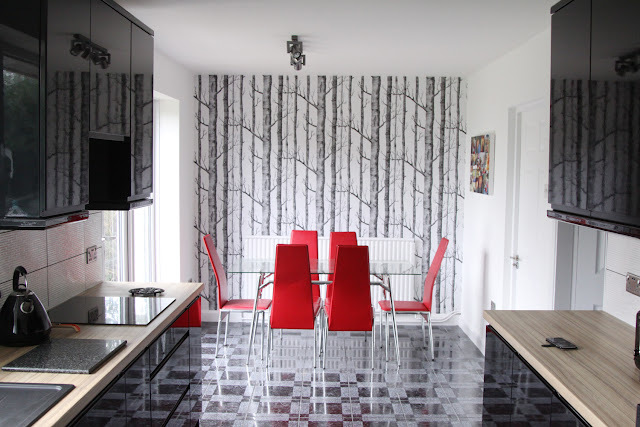 We bought the wallpaper from Ebay, lots of sellers stock it, just search for birch tree wallpaper. I am so glad we went for this, it really brings the room together. The tiles! I was pretty set on white tiles with black grout, I think the contrast looks so good. 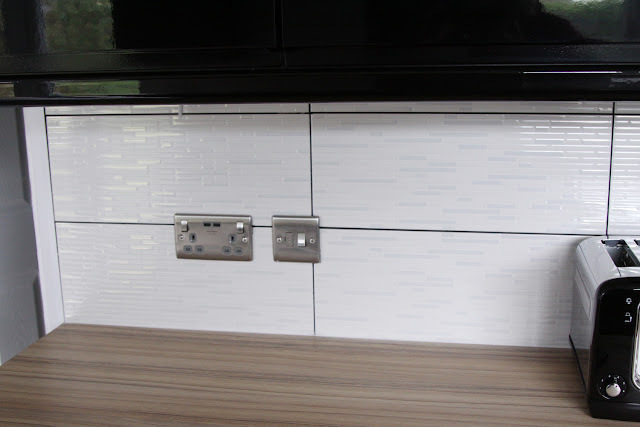 They have a slight texture to them, and they act as a splash back as they go right up underneath the extractor above the induction hob too. 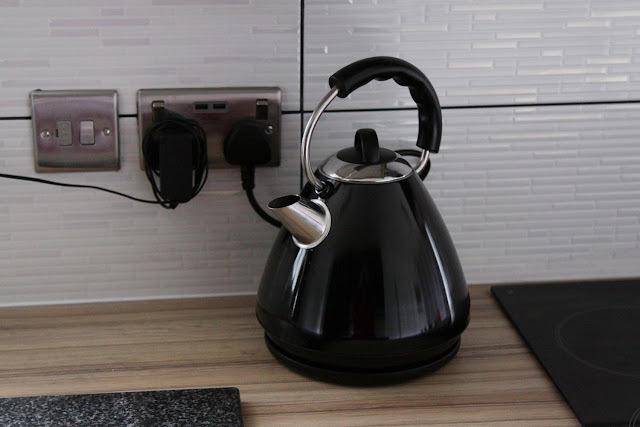 We talked about getting an acrylic panel behind the hob in a contrasting colour, but then that would limit our colours options for the future. By sticking with monochrome we could add in any other colour we want via accessories. 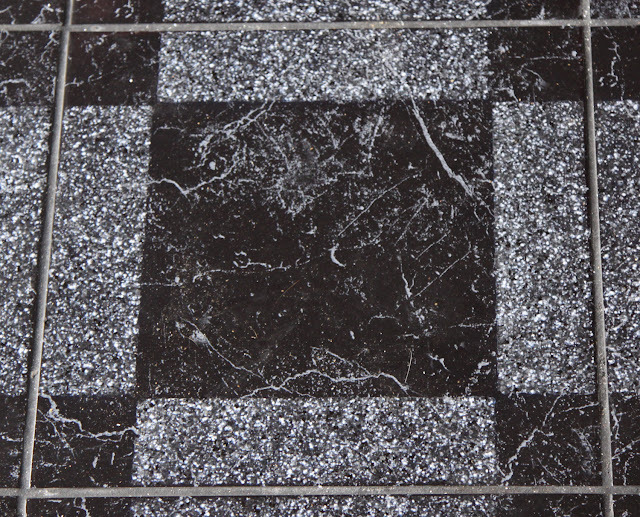 The black marble floor tiles weren't my first choice, Stu preferred these, whereas I preferred a black marble without a border. When we went to order the ones I liked they had been discontinued and they didn't hold enough stock for our long room, so we ordered the ones Stu liked more. I am SO glad they were out of stock as I absolutely adore how these ones look. Stu was right! Is it a bit weird to really love a utensils drawer? Because I really love ours. The holder is custom made to fit the drawer which is really long and underneath the hob. 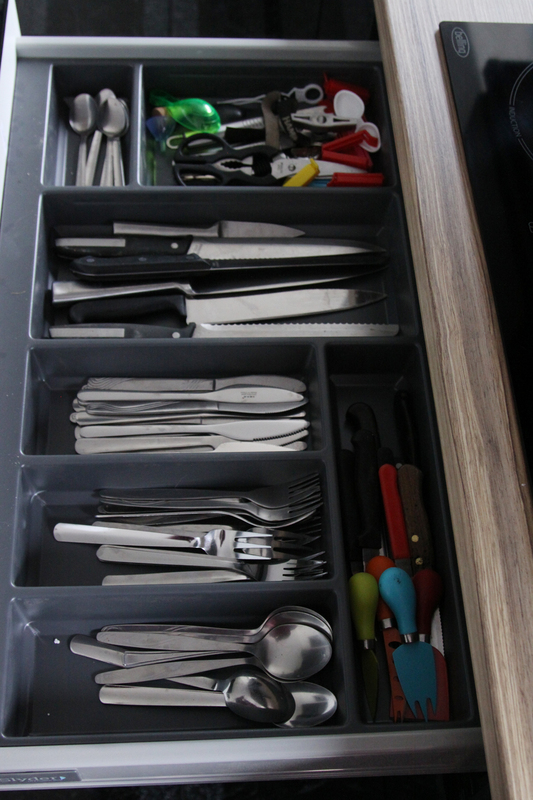 Our old drawer that holds utensils was a really awkward size so nothing fitted in it properly, this one is a perfect fit. 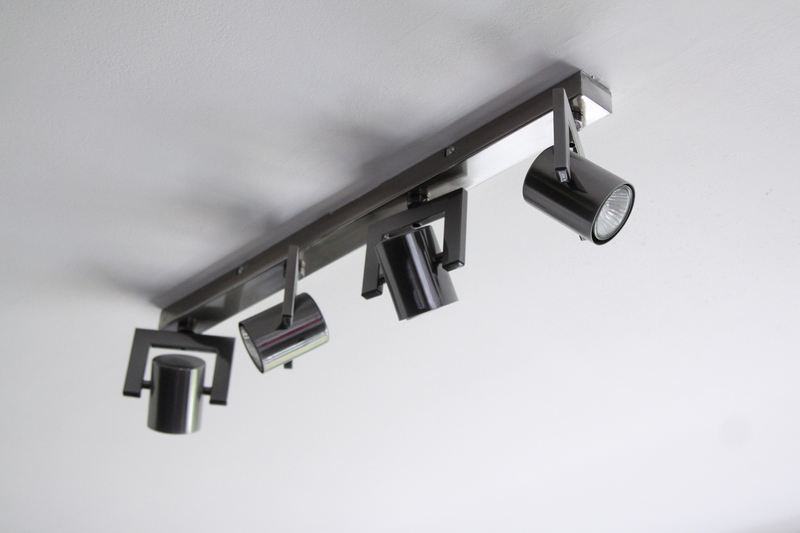 When we moved in the kitchen had long strip lights which we swapped for spot light style lights, similar to these new ones. They were however, ridiculously awkward to change a light bulb in, so when we found these black metal theatre style lights they fit the new kitchen just right. 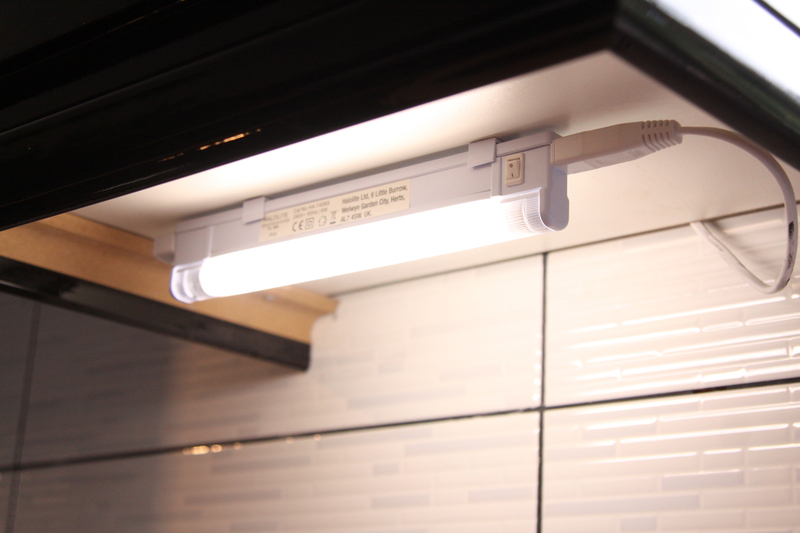 We also got under cupboard lighting, it's totally hidden unless you are looking up from underneath the cupboards, and has these cute little strip lights. Our old oven functioned on one setting, at one temperature only. We opted for a new single oven and a combi microwave oven. 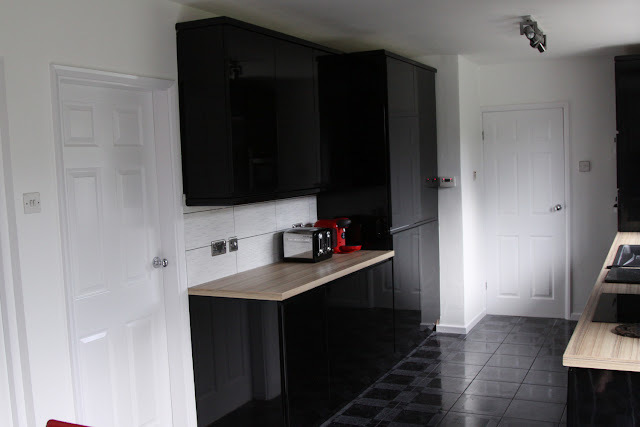 While there are only two of us most of the time, Stu has 3 children who we often have over for dinner, and now we have a fancy new kitchen-dining room we can host dinner parties and will need the extra oven space! We also got an integral dishwasher and washing machine. That everything could be integral helps give the illusion of the kitchen being bigger than it is. Because it is a galley style, there is only so much room, but we now have so many cupboards we don't even know what to put in them all! 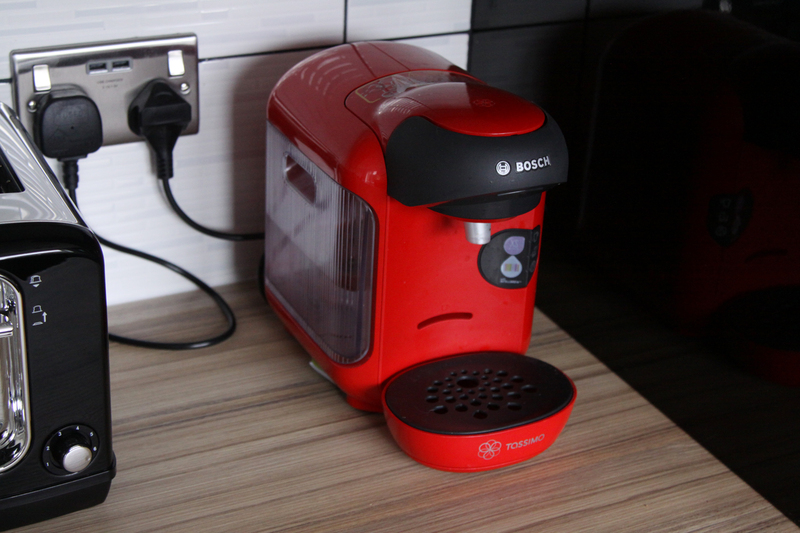 Another new favourite part of the kitchen is the new plug sockets, which have USB ports! I had no idea these existed, and this day and age that is so handy. The other thing we also got in our kitchen, was new doors. Our kitchen has 3 doors in it, one to the garage which had a new door as we put the door in when we moved in, a door to the hallway, and a door to the living room. The living room door never shut properly, the door was too big for the frame, which meant never being able to keep the animals out of the kitchen, no matter how much we might have needed to. The other problem with our old doors, was that they had door handles. Even if we could shut all the doors to the kitchen, Ashen our rottie-cross can operate door handles and that means never being able to shut him out of the kitchen. 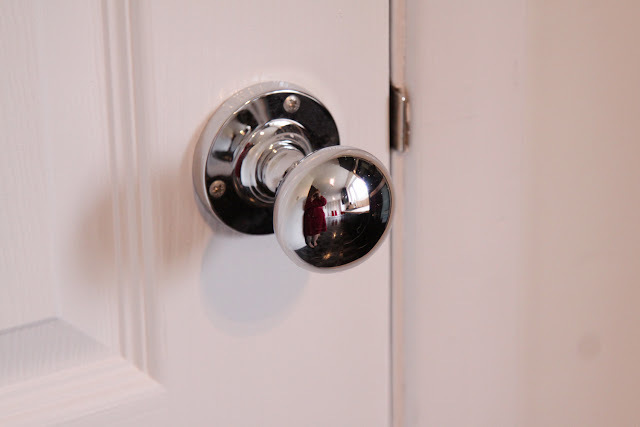 We picked out chrome door knobs for the new doors, because unless Ashen grows opposable thumbs, he won't be able to operate these. Makes moping the kitchen floor much easier without dog-faced interruptions! 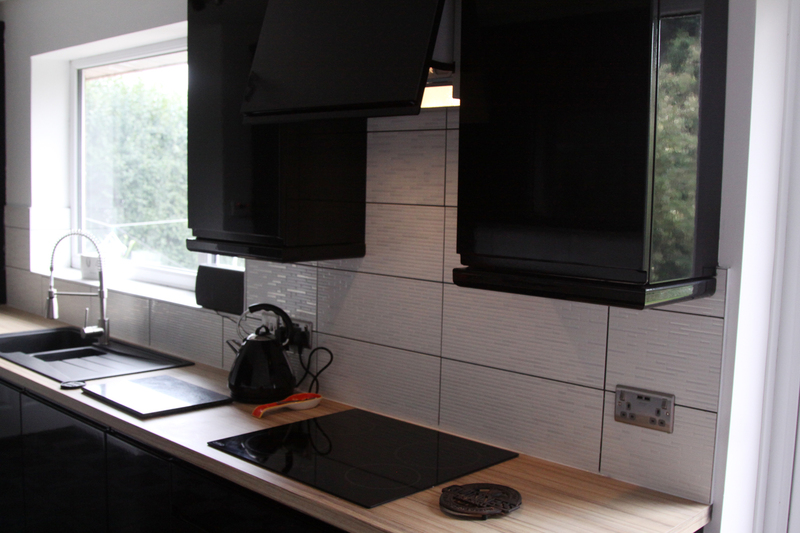 We are so utterly thrilled with the new kitchen, all the new cupboard space means everything has a home. Previously lots of our pots and pans had to live in the garage because we had no room for them, we have the room now! All that work top space, without anything bar the essentials having to live on the side, so wonderful. I can't wait to host dinner parties now! Gosh the transformation is amazing! As someone who is looking to buy a house this year it's great to see what can be done if you're not happy with what is currently there. Happy cooking, it looks great!